The pink boots area is a sign that this craft brewery employs something just a little different than most breweries. Rubber boots are a necessity for workers on the production floor of a brewery—but they’re most often black. According to the Brewers Association, just 10 percent of American craft breweries employ female brewmasters. 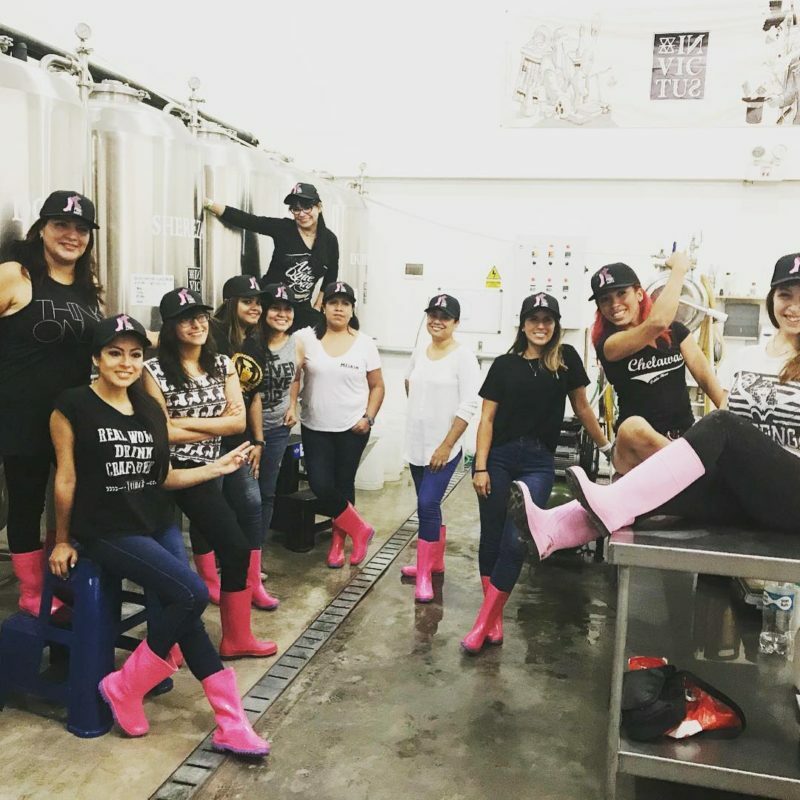 That figure actually shows a significant increase compared to just a few years ago, thanks in part to the work of the Pink Boot Society—which was founded in 2007 to bring together women who work in the beer industry. It now has 2,400 members with chapters on two continents. And, yes, some members like Becker literally wear pink boots. Becker started making her own beer at home shortly after turning 21 years old, not always with great success. But she loves reading and studying about what makes great beer. 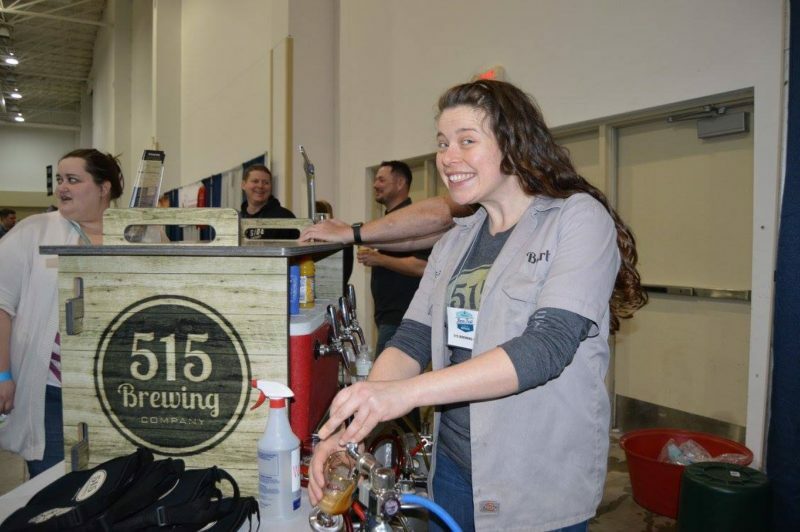 By 2014 she was hired as the assistant brewer at 515 Brewing. By July 2015, Becker was the full-time head brewer. “It’s a physically demanding job in an industrial setting,” she says. Becker lifts 50-pound bags of grain on a daily basis and until a recent bicycle accident injured her shoulder, she stacked 160-pound barrels of beer. Becker laughs at the idea that the job of a craft brewer is to sit around and drink beer all day. Instead, she says she and her staff spend much of their day cleaning.“We are glorified custodians,” she says, but notes that the science of cleaning properly is a fundamental component in the science and craft of making beer. Not far away in Knoxville, Iowa, Megan McKay, owner of Peace Tree Brewing, has a healthy amount of respect for the art and science of making beer. That’s why she turns that responsibility over to employees. 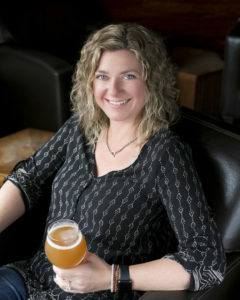 Believing there should be a separation of the business and creative side of brewing, McKay see her job as one that tackles the nitty-gritty of taxes and payroll and legalese, thus freeing her brewmaster to focus on creating great beer. With three tap rooms and a brewery that generates about 5,500 barrels a year, McKay employs 35 part-time and 14 full-time employees. Of those 14, six are women, including the packaging and the operations manager. 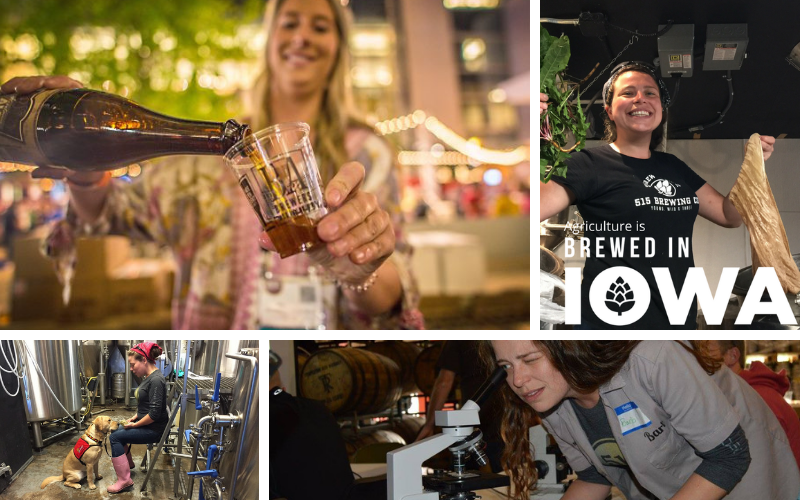 “We participate in a lot of beer festivals and I’m always proud when I can take an all-female team to share our product,” she says. At Iowa’s Brrr Fest that celebrates the beers of winter, Peace Tree Brewing was the only female team among more than 50 teams from across the Midwest. McKay didn’t get into the brewing business to blaze any trails. 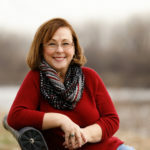 She was working in the family insurance business when in 2007, she, her father and now ex-husband invested in a dilapidated building that was considered an eyesore in their community. As they made improvements and no renters emerged, they began looking for a business for the building that would add value to the community. 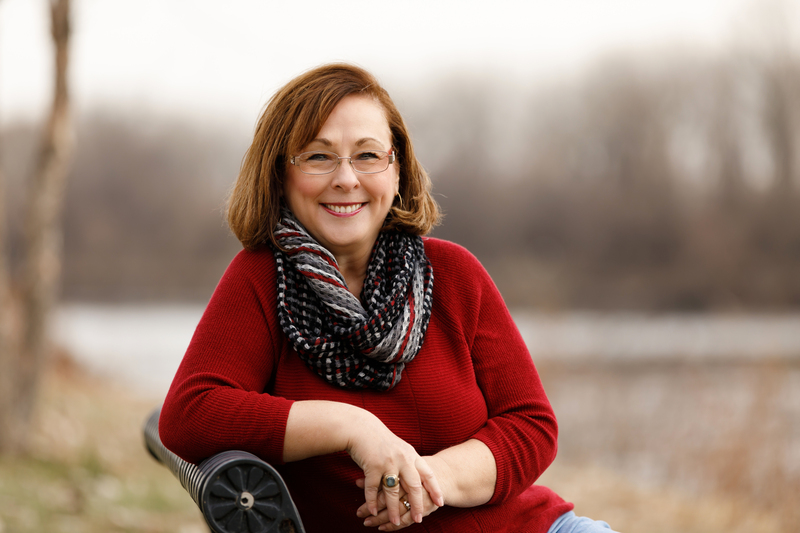 “I believe we’ve been successful in creating a quality of life improvement in our little town while creating a product that we send out across the state and brings revenue back to our community,” she says. Peace Tree Brewing’s flagship location opened in Knoxville in 2010. In 2015, McKay bought out her partners and became sole owner—a rare sole female owner of a craft brewery. While both Becker and McKay agree it’s not all about medals, Becker is proud of two gold medals earned by 515 beers. The first was for Mexican Spring, a Pale Ale at the Great American Beer Festival in 2016. While Becker brewed the beer, it was her boss’s recipe. The next year, however, 515 Brewing came home with another gold for a Belgian Quad-style beer called #Quadgoals.“That was my baby from inception, from the beginning.” Becker says with pride. Still, her favorite moments are when a tour comes through the brewery and she notices a young girl, or even a young woman looking at her with curiosity.